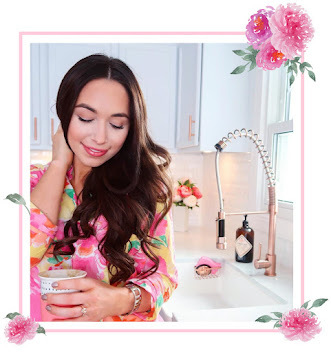 If there's one thing I love sharing with you, it's new Spring trends! I love shopping all the new styles every season. The tassel trend is one of my favorite things about Spring clothing this year, it makes every outfit feel fit for a party. 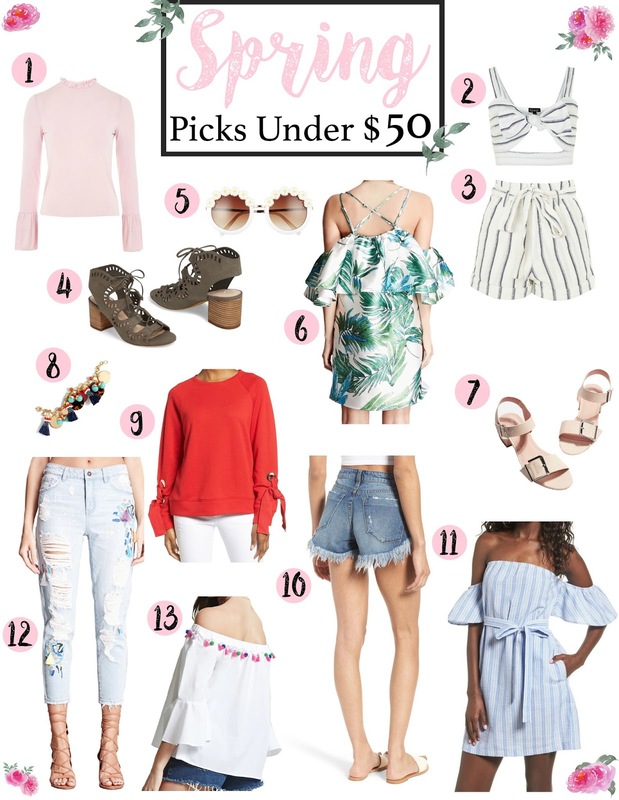 Like the title says, every piece in today's post is under $50! I hope this post inspires your new Spring wardrobe, happy shopping! The femininity of this top just gets me! It looks so flattering, and can be dressed up or down. Per the page recommendations, size up! I wore a dress with the same bow style (and from the same website) for my bridal shower last year. This style is so flattering if you have a smaller bust. I'll never get sick of the matching top and bottom trend. It looks so classic, yet fun! These sandals come in four colors, and are currently 15% off! Plus, they will go with so many outfits, definitely a must have. You're never too old for floral sunnies! I love how fun these are, but they aren't too loud or overwhelming. The neutral colors make them very wearable. If you saw my last video, linked here, you know how much I looooooove this print! I'm obsessed with how classic these are, plus they're my favorite color. Dressy flat sandals are one of my essentials for both Spring and Summer. The most fun tassel bracelet ever. Enough said! I'm obsessed with the sleeve detailing on this sweatshirt. It comes in four colors, and is definitely on my list of must-haves. Frayed hems are another one of my favorite trends for Spring. It adds a little more interest to your look, and just feels "fun"! This dress comes in two colors, and looks both cute AND comfortable. The best of both worlds. Bow detailing is one of my favorite things. And those sleeves? Love! Many of you know how much I love to wear white. This top has both pom poms AND tassels! The off the shoulder trend has been huge so far this Spring, and I am loving it.